Pictured: Employees of Congo’s Independent National Electoral Commission deliver voting machines and materials to a polling station. 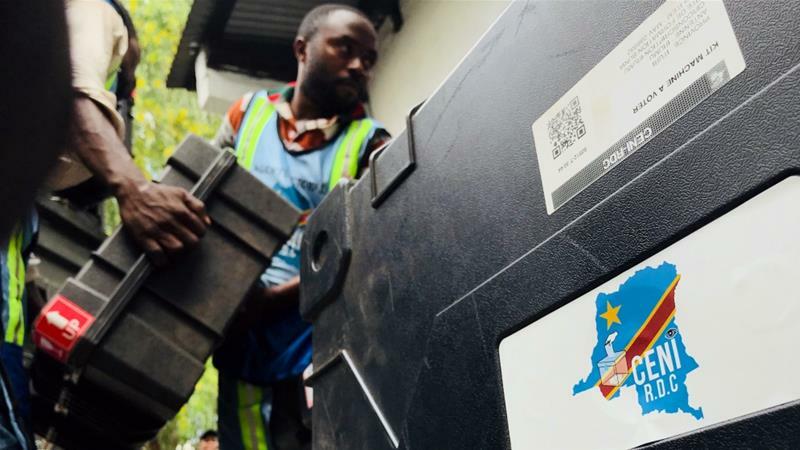 Millions of voters in the Democratic Republic of Congo will head to the polls tomorrow to choose a successor to long-time President Joseph Kabila. President Kabila is stepping down after ruling the mineral-rich country for 17 years and his handpicked successor, Emmanuel Ramazani Shadary, is one of 21 candidates competing for the country’s top job. Kinshasa is trying to buck past trends by ensuring a peaceful transfer of power for the first time since it gained independence from Belgium in 1960. Kabila, 47, came to power following the assassination of his father by one of his bodyguards in 2001. Kabila, then 29 years of age, became the world’s youngest leader. His father was a rebel leader who overthrew the long-serving Mobutu Sese Seko in 1997 with the help of troops from neighbouring Rwanda and Uganda. The former army chief came to power in 1965 through a coup backed by former colonial power Belgium. He overthrew the country’s first democratically elected Prime Minister Patrice Lumumba. Lumumba – a Pan-Africanist – was imprisoned by the Mobutu regime and then executed firing squad, his body chopped up, and dissolved in acid. The central African country is currently in the midst of an Ebola outbreak in its eastern parts. The outbreak, declared in August, is the second deadliest in history. According to the World Health Organization it has claimed more than 330 lives. The electoral commission (CENI) delayed the December 23 vote by a week in part because of the Ebola outbreak. On Wednesday, CENI said voting will not take place in Beni and Butembo in the eastern North Kivu province until March 2019 because of the deadly viral disease. DRC continues to face security challenges especially in the eastern part of the country. Ongoing conflicts in areas like North Kivu, Ituri and Kasai provinces have uprooted hundreds of thousands. An average of 5 500 people fled their homes every day in the country this year, according to a report released by the Internal Displacement Monitoring Centre. The UN has its largest and most expensive peacekeeping mission in the country with about 18 000 uniformed personnel. The mission has been instrumental in the defeat of the M23 rebel group – one of the largest armed groups in DRC. In the run-up to the vote, ethnic violence increased significantly. CENI has postponed voting in Yumbi in the western Bandundu province until March next year following the conflict that left more than 100 people dead. The country doesn’t have a road network connecting its eastern to western part or southern to northern part. 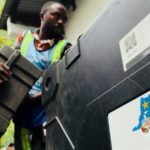 DRC is roughly the size of Western Europe and that is proving a challenge when it comes to transporting voting materials to far-flung parts of the country. The United Nations has offered logistics support to the electoral body but that has been turned down. For the first time, DRC voters will use voting machines to cast their ballot. Voters will elect the candidate of their choice using a tablet-like machine before their choice is printed out on a ballot paper. The voter then submits their ballot paper, which is then counted after polls close. CENI wants to deploy more than 100 000 of the voting machines across the country. The machines have not been tested in the DRC previously.